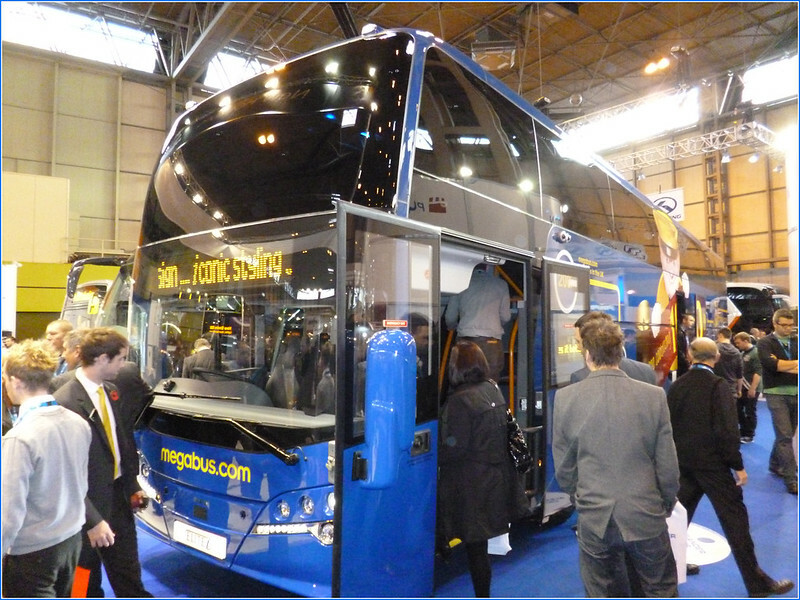 The new Plaxton Elite i a massive 15m coach for Megabus on the new Volvo B11RT chassis certainly turned attracted large crowds at the show. It really does look huge. 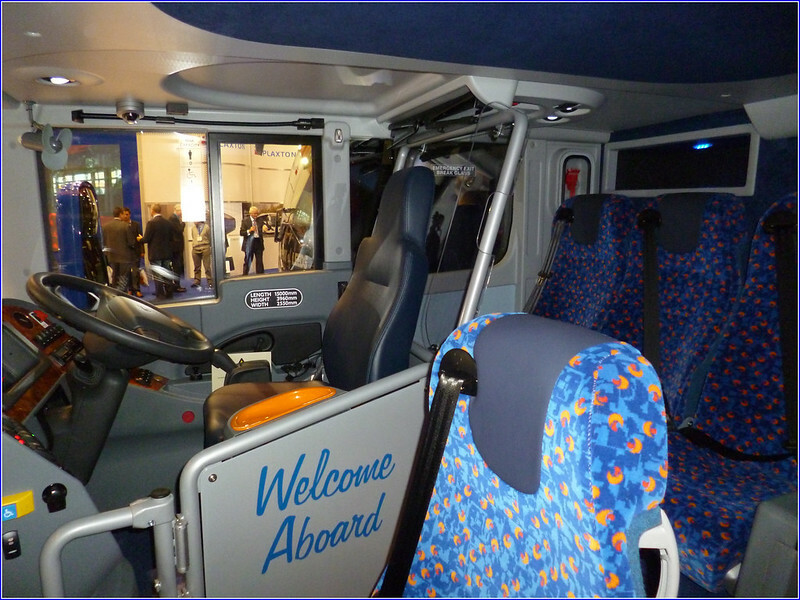 I have to say that compared to the standard single deck Elite which is a stunning design I do find this a plain but it will turn heads anyway due to the sheer size of the thing. 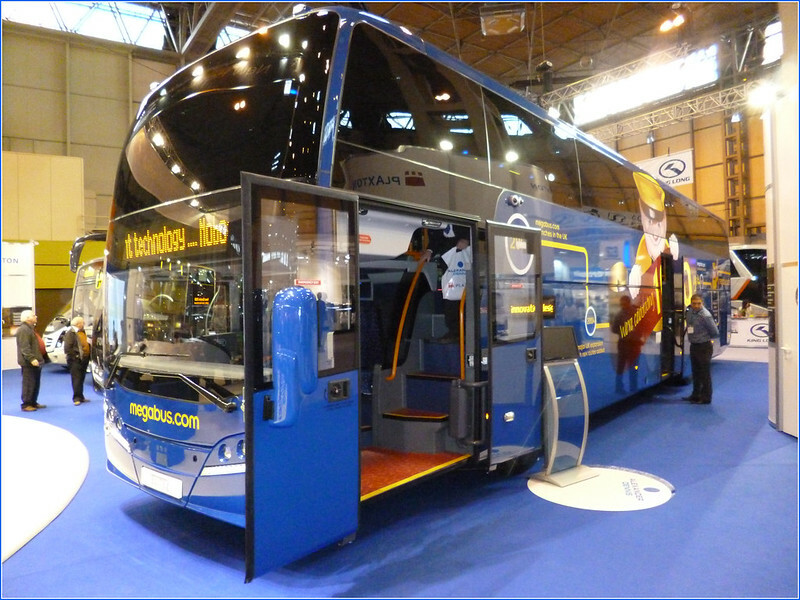 Internally the coach is also plain, but then dont forget Megabus is a budget operation so you cant expect too much. Stagecoach do mention Plymouth as one of the places its likely to appear from time to time so you never know, we might just see these impressive machines sitting at the bottom of Royal Parade. A nice view from the front windows. 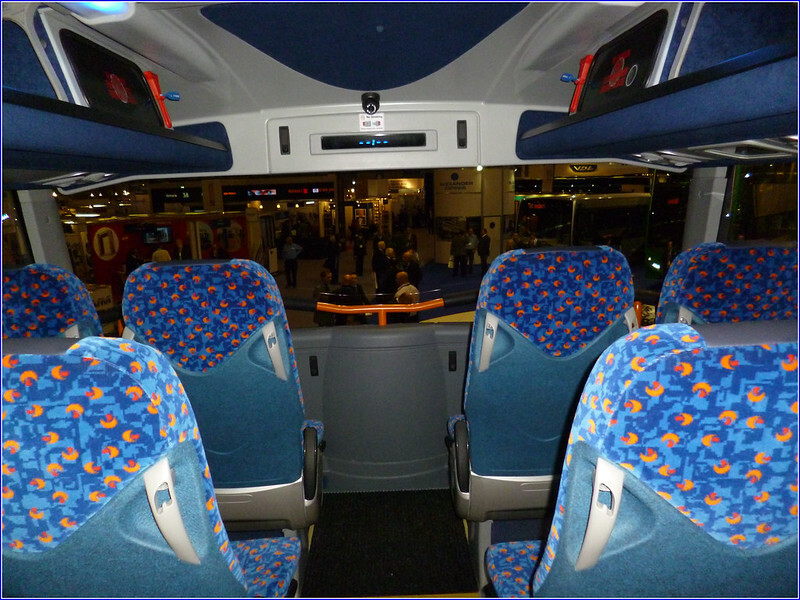 Standard Megabus seating is practical rather than luxurious. In amongst the dozens of bus services operated in a to Wigan, First is one of many. Public Transport Experience No.700!